This is Charles the Owl and Andy the Fox. 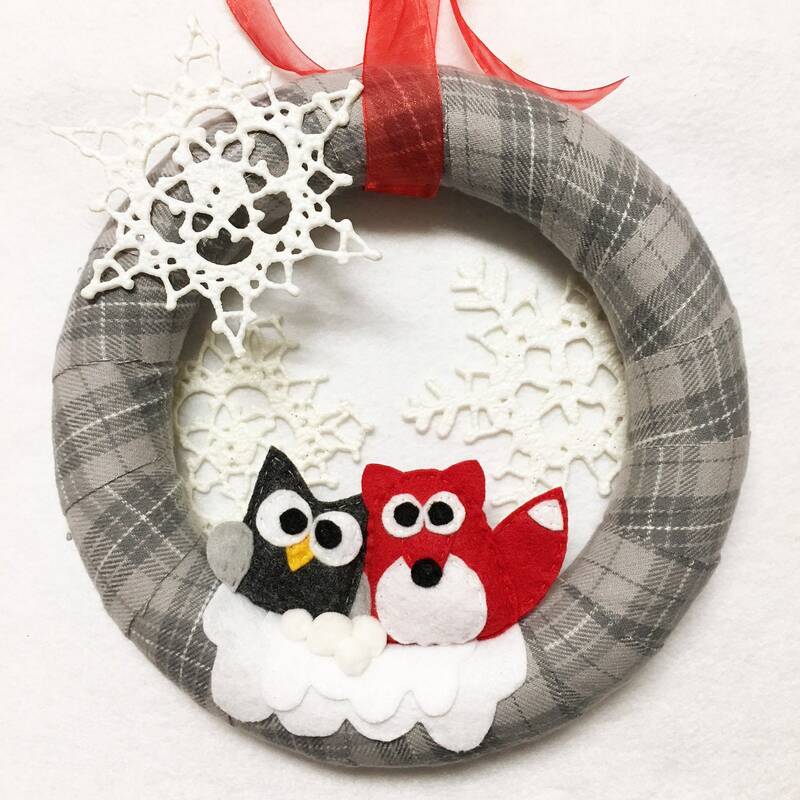 They are nestled in pom pom snow on a beautiful gray plaid flannel covered wreath. 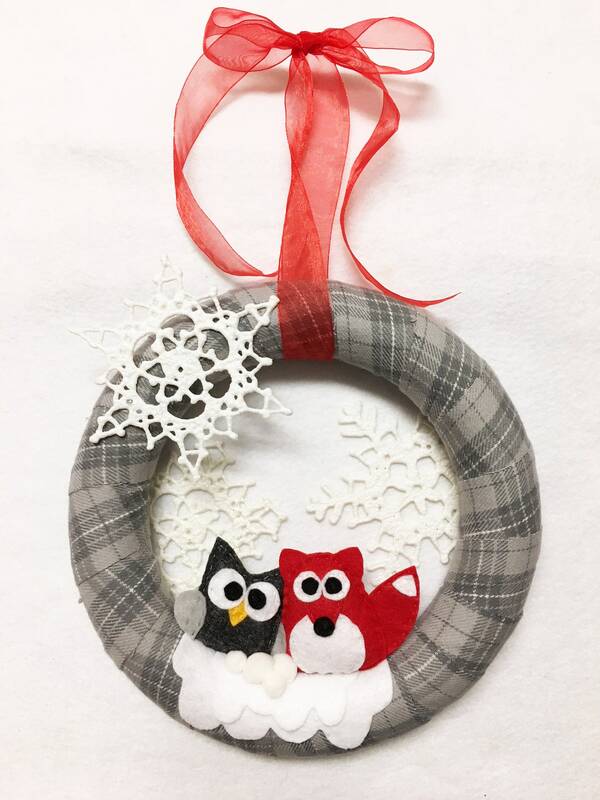 This gorgeous neutral plaid wreath would be perfect for decorating your front door or inside of your home. 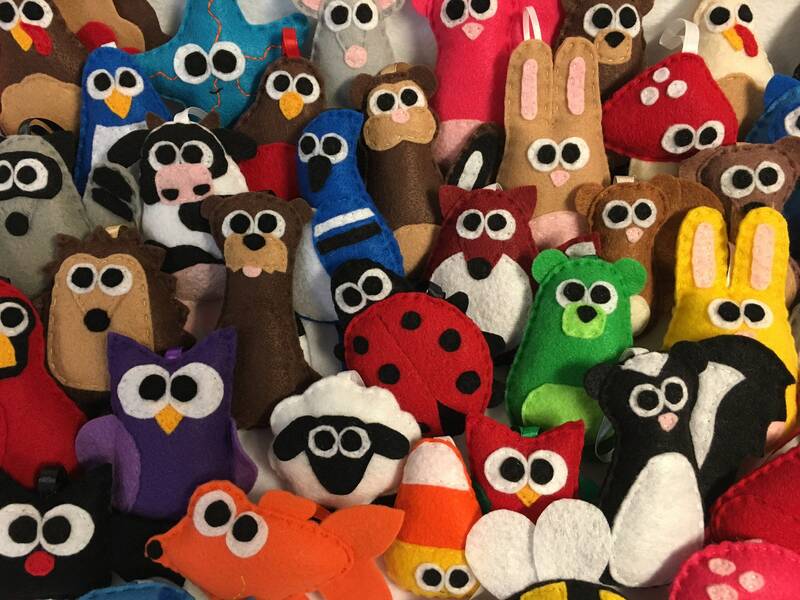 Perfect for the animal lover. 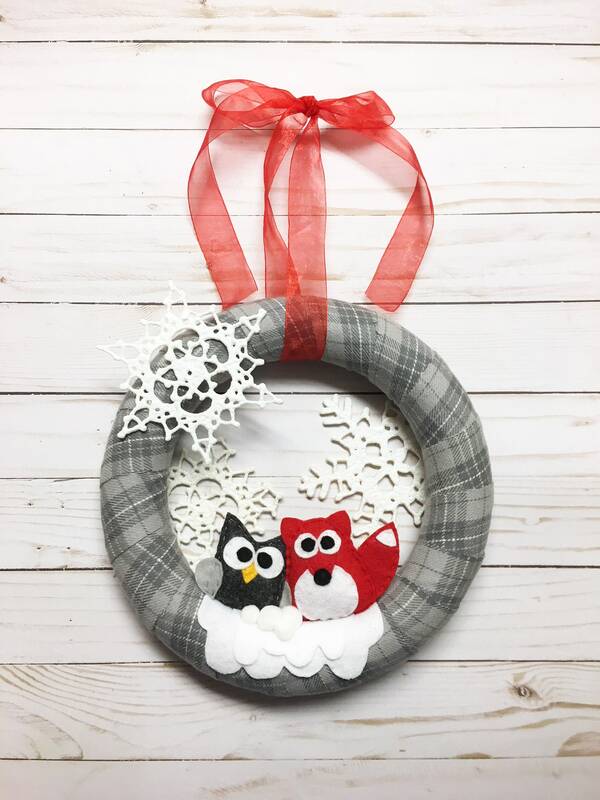 This wreath has a 10" diameter base. It is covered in strips of gray plaid flannel. 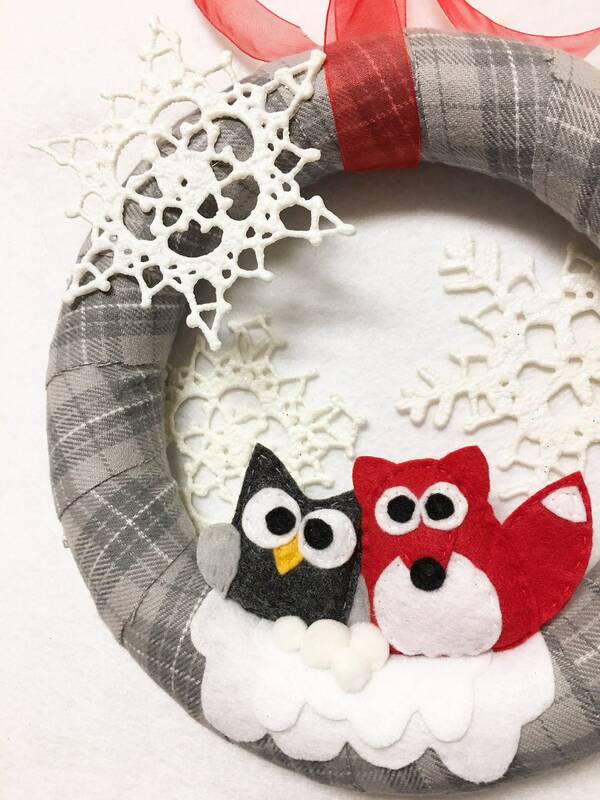 Included in the decorations are pom pom snow, felt, and snowflakes. It hangs from a tied translucent ribbon. Charles and Andy are entirely hand stitched. 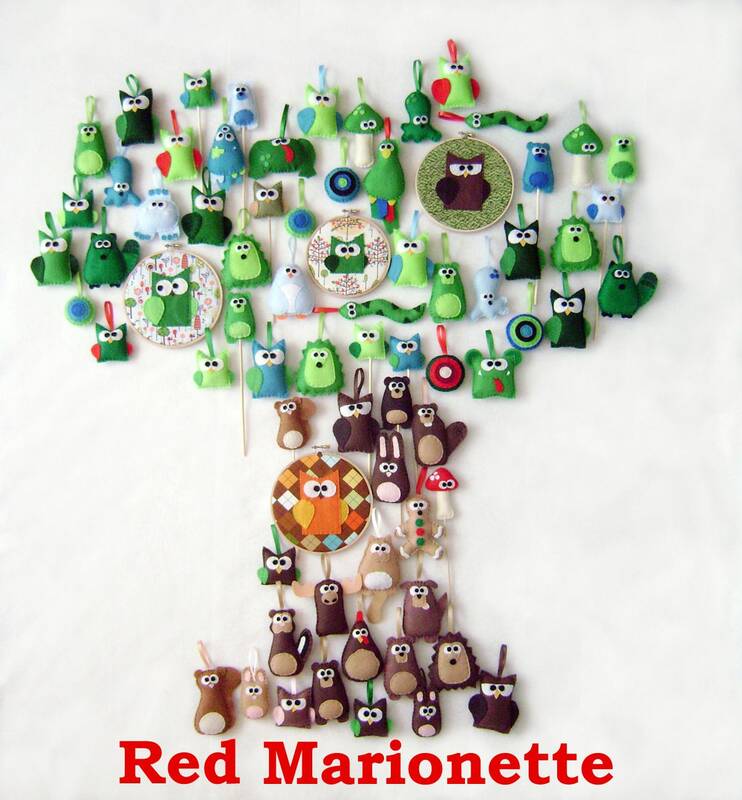 They are made from charcoal gray, red, and white felt and are stuffed until festively plump with polyfil. 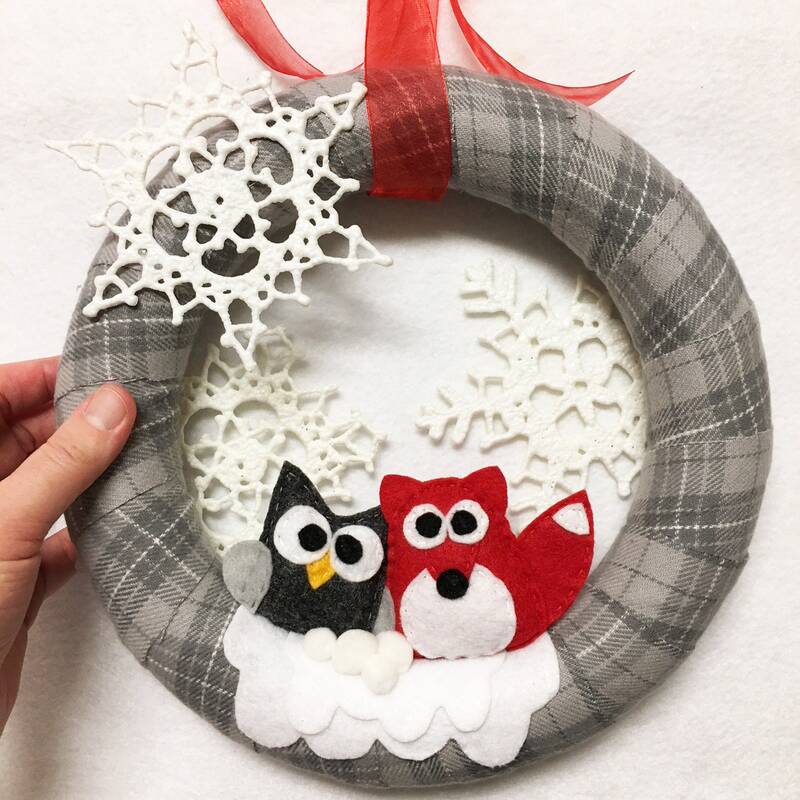 All of my wreaths are perfect for hanging on your door to welcome visitors! There are many other uses though. Wreaths can be hung single or in groupings inside for home decor. It can be propped on a mantle and the centerpiece of your decorations there or a beautiful addition to a book nook! Any questions please contact me. Thank you for looking.